MARACAIBO, Venezuela (Reuters) - Across Maracaibo, the capital of Venezuela's largest state, residents unplug refrigerators to guard against power surges. Many only buy food they will consume the same day. Others regularly sleep outside. 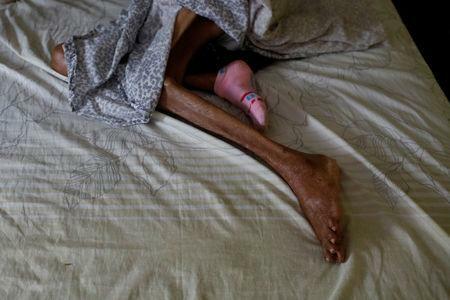 The rolling power blackouts in the state of Zulia pile more misery on Venezuelans living under a fifth year of an economic crisis that has sparked malnutrition, hyperinflation and mass emigration. OPEC member Venezuela's once-thriving socialist economy has collapsed since the 2014 fall of oil prices. "I never thought I would have to go through this," said bakery worker Cindy Morales, 36, her eyes welling with tears. "I don't have food, I don't have power, I don't have money." 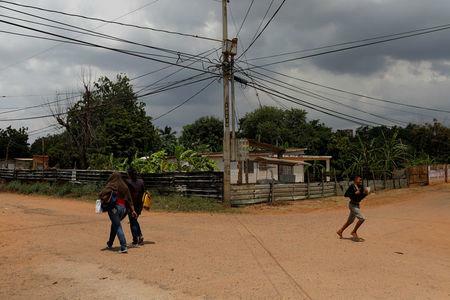 Zulia, the historic heart of Venezuela's energy industry that was for decades known for opulent oil wealth, has been plunged into darkness for several hours a day since March, sometimes leaving its 3.7 million residents with no electricity for up to 24 hours. In the past, Zulians considered themselves living in a "Venezuelan Texas", rich from oil and with an identity proudly distinct from the rest of the country. Oil workers could often be seen driving new cars and flew by private jet to the Dutch Caribbean territory of Curacao to gamble their earnings in casinos. Energy Minister Luis Motta said this month that power cuts of up to eight hours a day would be the norm in Zulia while authorities developed a "stabilization" plan. He did not provide additional details and the Information Ministry did not respond to a request for comment. Although Caracas has fared far better than Maracaibo, a major outage hit the capital city on Tuesday morning for around two hours due to a fault at a substation. The energy minister said "heavy rains" had been reported near the substation. "This is terrible. I feel helpless because I want to go to work but I am in this queue instead," said domestic worker Nassari Parra, 50, as she waited in a line of 20 people in front of a closed bank. Zulia used to produce 70 percent of Venezuela's milk and meat but without power to milk cows and keep meat from spoiling, the state's production has fallen nearly in half, according to Venezuela's National Federation of Ranchers. Zulia's proportion of Venezuela's total oil production has also slipped over the past 10 years from 38 percent to 25 percent, figures from state oil company PDVSA show. Maracaibo, Venezuela's second largest city, seems like a "ghost town," said Fergus Walshe, head of a local business organization. He said businesses had shortened their operating hours due to the lack of power. "Before, business activity here was booming," he said. Small businesses are also affected. In an industrial park in Maracaibo's outskirts, 80 percent of the 1,000 companies based there are affected by the power cuts, according to another business association in Zulia. Sales at Americo Fernandez' spare parts store are down 50 percent because card readers, which are crucial because even the cheapest goods require unwieldy piles of banknotes, cannot be used during power cuts. "I have had to improvise to stay afloat. I connect the car battery to the store so that the card readers can work," Fernandez said during a power outage at his home, surrounded by candles.